The last of the three films in THE HOBBIT series opens in theaters today across the country. I thoroughly enjoyed all of the LORD OF THE RINGS trilogy and both THE HOBBIT: AN UNEXPECTED JOURNEY and THE HOBBIT: THE DESOLATION OF SMAUG, so I’m very excited to see THE HOBBIT: THE BATTLE OF THE FIVE ARMIES. If you read my post on Day 59, then you know that I never read THE HOBBIT. It’s true – I admit to this gaping hole in my childhood. However, I believe very strongly that we gravitate to certain novels or short stories for a reason, especially as children. Why does one move us when we can barely get through Chapter One in another book? My collection of favorite childhood books consisted primarily of fairy tales. I enjoyed the magical element and the characters depicted as kind, brave, hopeful, and moved by an unwavering belief in love. Yet, there was one novel in particular that resonated with me on an entirely different level – one I couldn’t fully explain during my juvenile years. 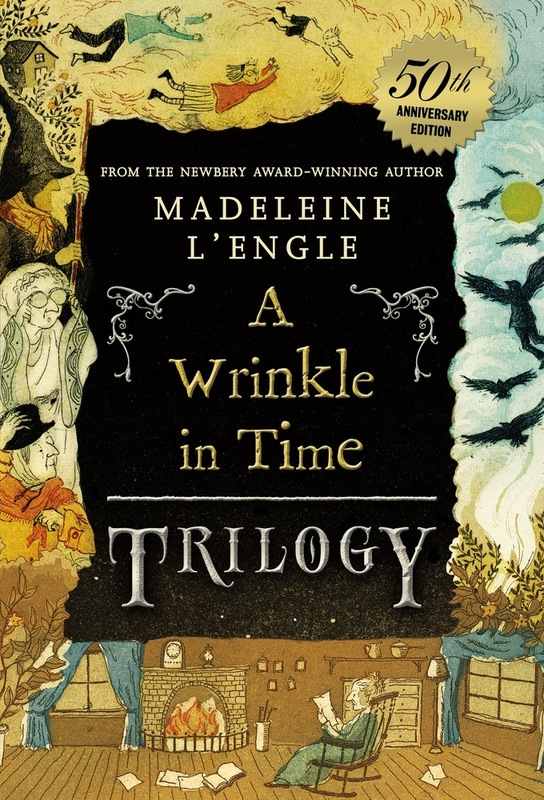 A WRINKLE IN TIME by Madeleine L’Engle held my attention, kept me reading, and sparked my creativity. I could visualize all that she described and relished the fantastical and magical elements that drove the story. At the same time, it’s a story about love of family and love of self. I haven’t read this story since my teenage years, and I am curious as to whether my perspective will change two decades since the initial read. Whether it changes or not, the fact remains – if young girls treasure my fantasy novel as much as I did Ms. L’Engle’s, I will be quite proud. First things first, I’m off on an adventure to see THE HOBBIT: THE BATTLE OF THE FIVE ARMIES. Then, I’ll read the novel it’s based on followed by a journey back into Madeleine L’Engle’s inspiring novel.